BRADENTON -- Trey Burton and Jonathan Dowling are friends off of the football field, mostly because they have both made verbal commitments to play football at the University of Florida. However, on Friday night at John Kiker Memorial Stadium, it was Burton's Venice High School that defeated Dowling's Southeastern High School 34-10. The Venice Indians improved to 4-1 on a strong offensive performance by Trey Burton. 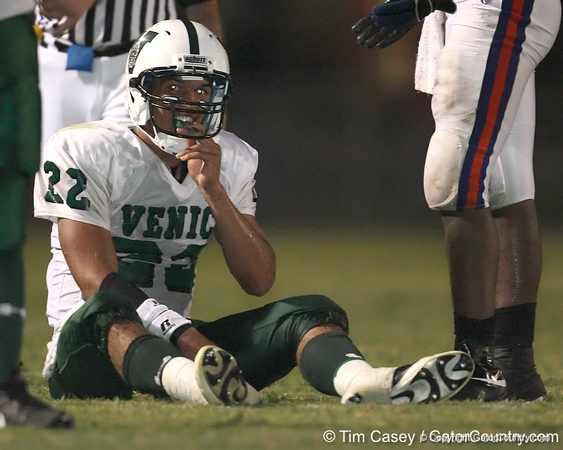 On the defensive side of the ball, junior Clay Burton was also impressive for Venice.